'C' Coy, 1/8th Battalion, The Worcestershire Regiment, 144th Brigade, 48th Division, T.F., B.E.F. Next of Kin: Son of John and Emily Thomas of Cromwell, Leigh. 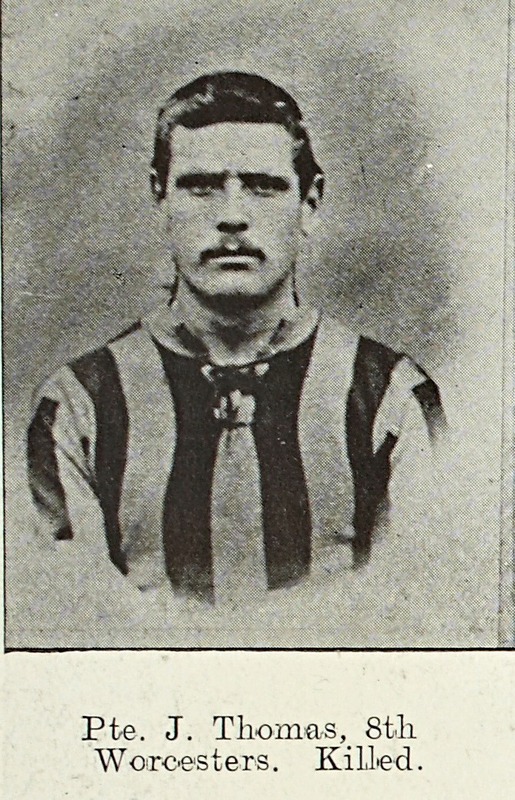 Before joining the Territorials in October 1914 John Thomas, who was born in Cradley, Herefs, was employed at Leigh and was a member of the local football club. His cousin Arthur Grubb was killed with the 3rd Worcesters in September 1914 in France.